In 1984 David B. Rogers founded The Law Offices of David B. Rogers in Columbia, Missouri, which today is known as Rogers, Ehrhardt, Weber & Howard, LLC. Although the name of the firm has evolved, and the number of attorneys has grown, over the past 35 years the firm has continued to offer superior and cost-effective client representation in all areas of civil litigation and insurance law. With an emphasis on client communication and meticulous evaluation of cases and client needs, the attorneys of Rogers Ehrhardt offer their individual, corporate, and insurance clients a partner in the legal process to lead the way to successful results. The firm's central location in Columbia, Missouri, allows Rogers Ehrhardt to effectively serve clients in all areas of Missouri. Further, its central location in the Midwest allows Rogers Ehrhardt to cover the needs of its clients throughout the entire United States. Rogers Ehrhardt handles a variety of matters, including personal injury, wrongful death, insurance coverage, insurance defense, employment law, construction, commercial, fires, contracts, automobile accidents, and slip and falls. The lawyers of Rogers Ehrhardt are experienced in handling bench trials, jury trials, and appeals and routinely appear in courts throughout the State of Missouri, both state and federal. The firm also offers non-litigation legal services to both individuals and corporations, including business consulting, examinations under oath, and the preparation of wills and trusts. Together, Principals Glen Ehrhardt, Elizabeth Weber, James Howard, and Josh Devine have nearly 80 years of litigation experience. 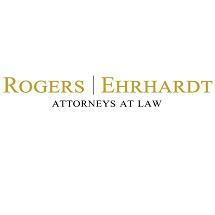 To decide if Rogers, Ehrhardt, Weber & Howard, LLC, can serve your needs, call our office to schedule a consultation.